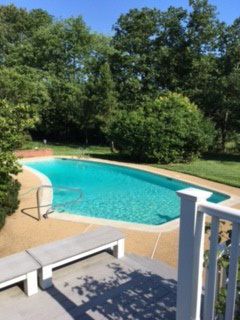 Testimonial 1 - Sparkle Pools Inc.
My “Sparkle Pool Team” of 3 just left my house and I can’t thank you enough because the pool on our property is the cleanest it has ever been ! One of the men, Curtis, was great because he explained everything when I had questions for him. He obviously has had experience in the past even though he is new to Sparkle. Can I request to have Curtis again in the Fall ? It would be nice to request my own team.